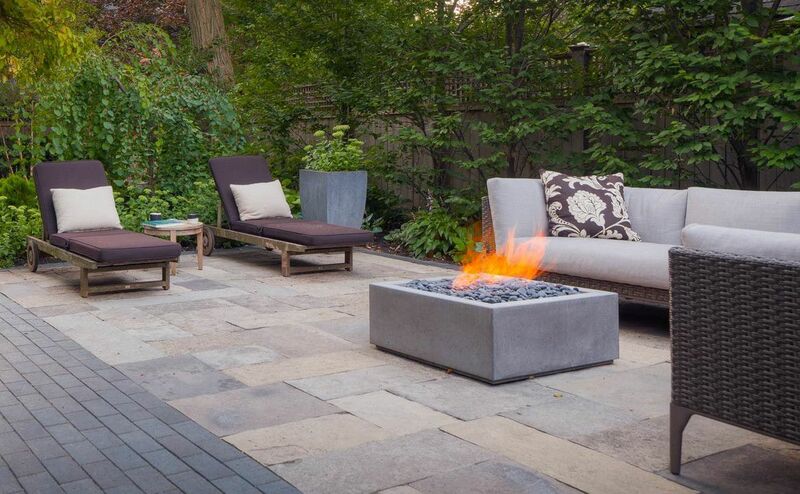 At up to 69,000 BTu/hr / 25 kW, these fires provide ample heat to match their beautiful flames. 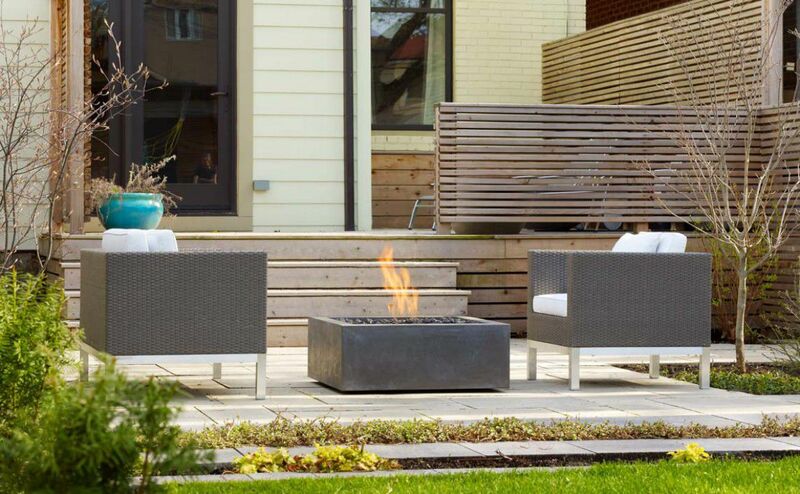 Bento modern fire pit is available in two sizes: 32″x32″ and 42″x42″. 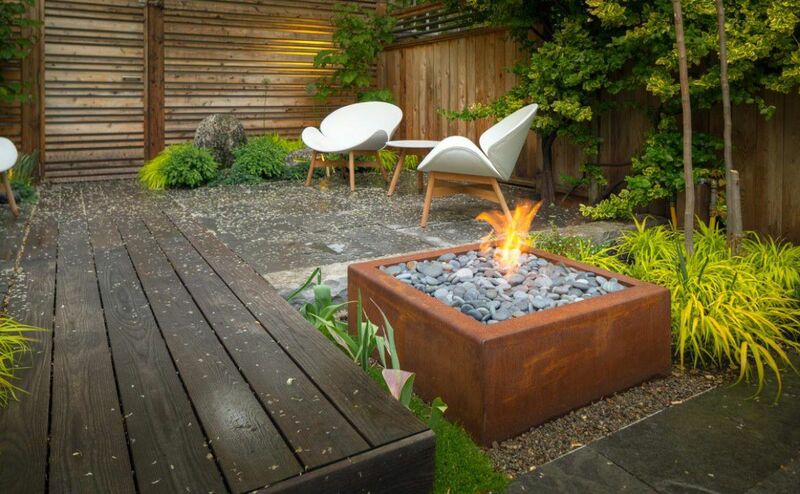 Both stand 12.75″ tall. 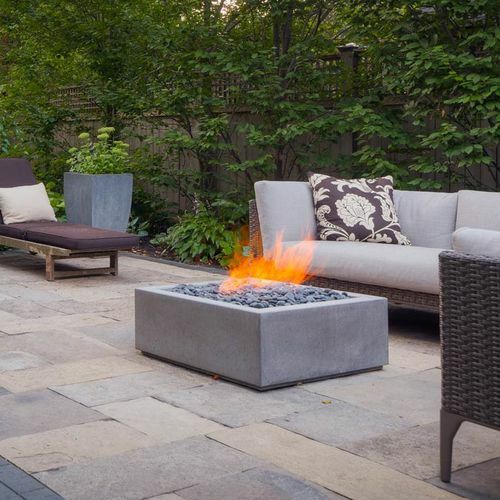 All of our modern fire pits come complete with your choice of topping medium, a commercial-grade all-season cover and are available in a selection of architectural concrete colours. 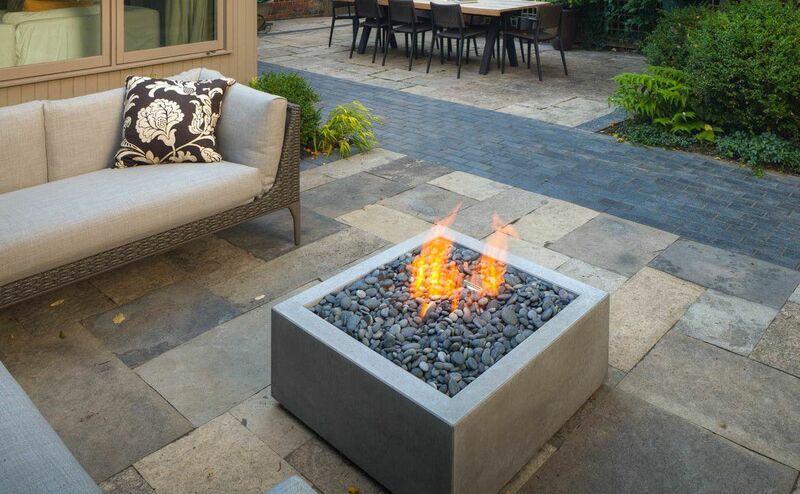 Hard tops are also available if you want to turn your fire pit into an outdoor coffee table when it is not aflame.